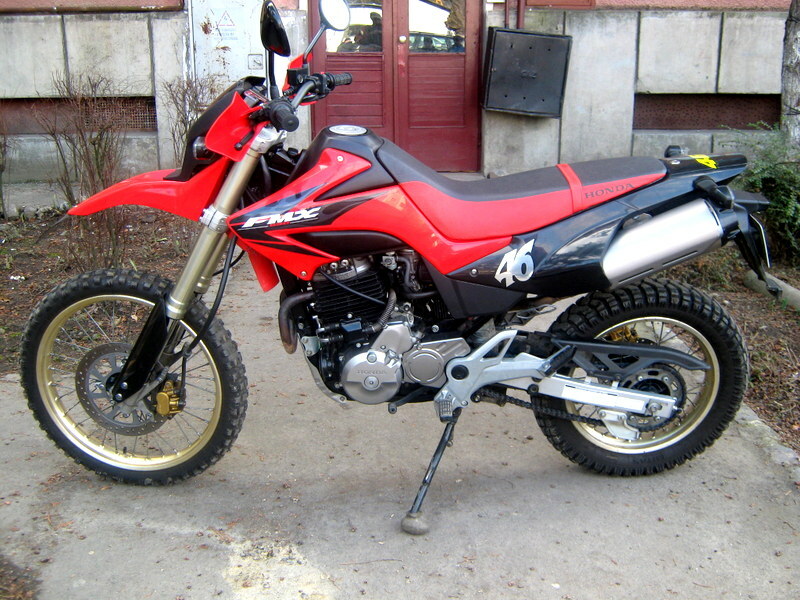 And the winner of my motorcycle conundrum is… Honda FMX 650. 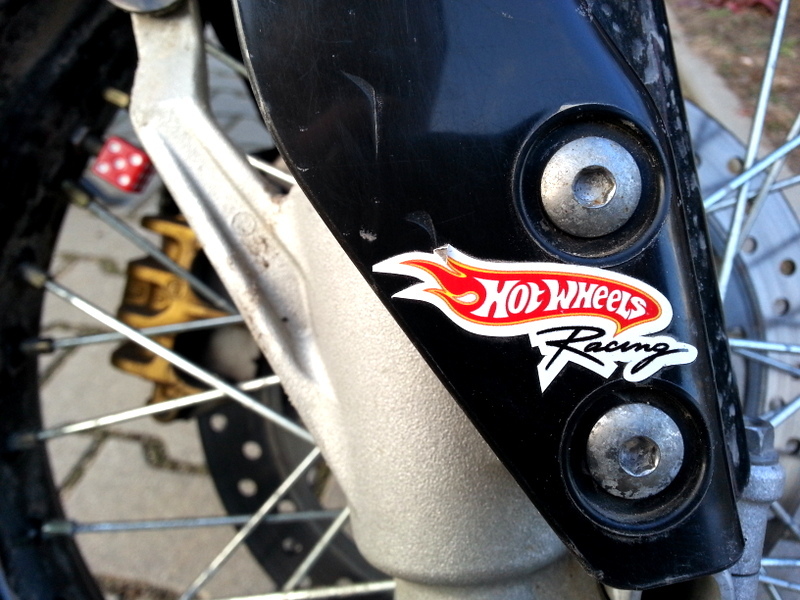 I visited the seller the next day with my buddy Tomek, my personal guru when it comes to motorcycles. Tomek graduated top of his class in mechanical engineering from Wrocław’s Technical Univeristy, has his own motorcycle garage where he services bikes, and spends thousands of miles every year on his Honda VFR. One wink from him that this FMX is a dud and we walk away. But that wasn’t the case. 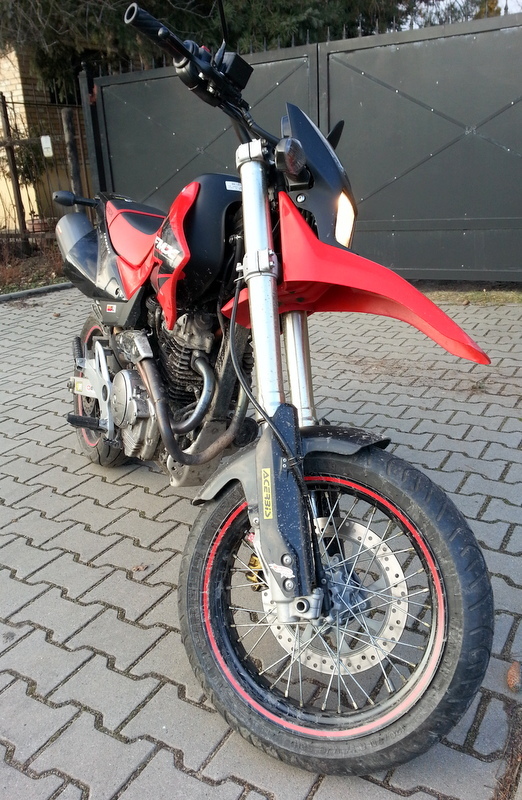 Besides some minor scratches and one big one on the left exhaust cover, Tomek gave the bike a green light even after admitting that riding a Supermoto is like riding a horse…it just felt weird to him. Yet that’s exactly what I was after. With a green light to buy, I did it, and for the first time in my life, at 31 years old, I became a motorcycle owner. 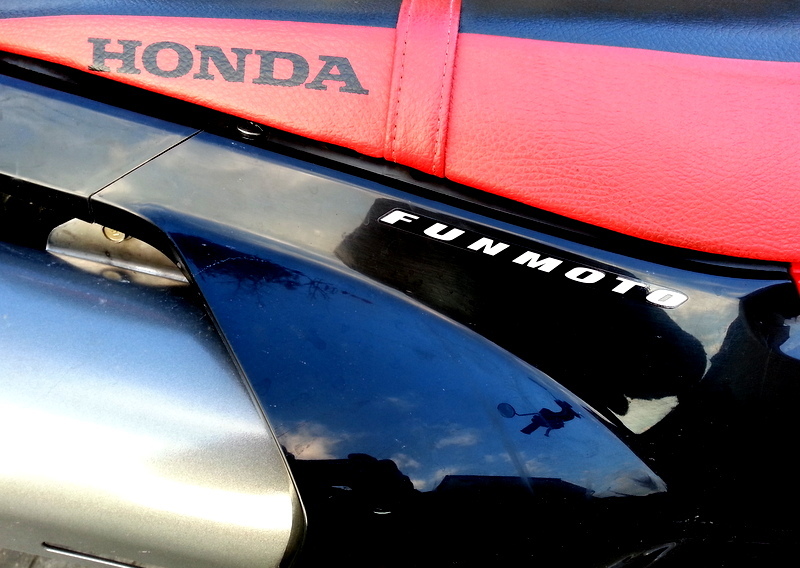 By the way, even though I officially bought this Honda a day later, I saw it, rode it, and made a small downpayment to buy it, all on the day of my 31st birthday. So Happy Birthday to me! I rode it in to work the following day, a move I regretted at about the half way mark when it started to SNOW! In my defence, it did not snow when I left. But now that I got that first ride out of my system I have no problem letting it sit in my garage for another month or two. I actually got all my paperwork done today, taxes, registration, insurance, so starting today it’s officially official. Seen here are a few mobile phone photos I took today, I will surely post something better once it gets at least 10 degrees warmer. I simply love this thing. It’s exactly what I wanted coming from my dad’s old Honda XR250L. This has the same feel, same familiar ride posture, just a whole lot more oomph when you hit the throttle. 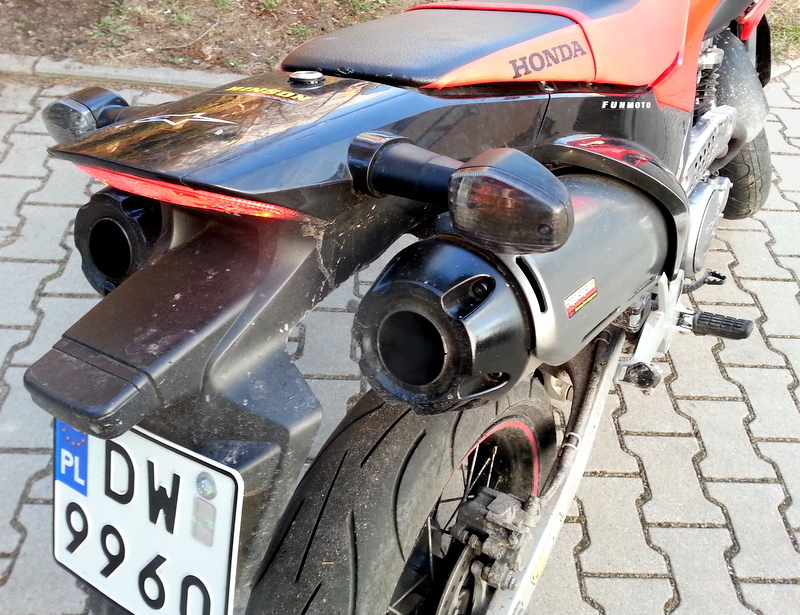 And that dual exhaust with a deep thumping even when standing still…music to my ears. If there was one thing I could change it would have to be the speedometer. My dad’s ’94 Honda had the same exact thing, no change 11 years later seems a bit weird. But simplicity is sometimes key, and this Honda while not known for being best in class feature-wise, is well known for its reliability. Of course during my first ride I did also manage to test its off-road capability, and failed. As it is now, this FMX does not do off-read well. But I found this photo online and am seriously pondering the same wheel change to my machine. 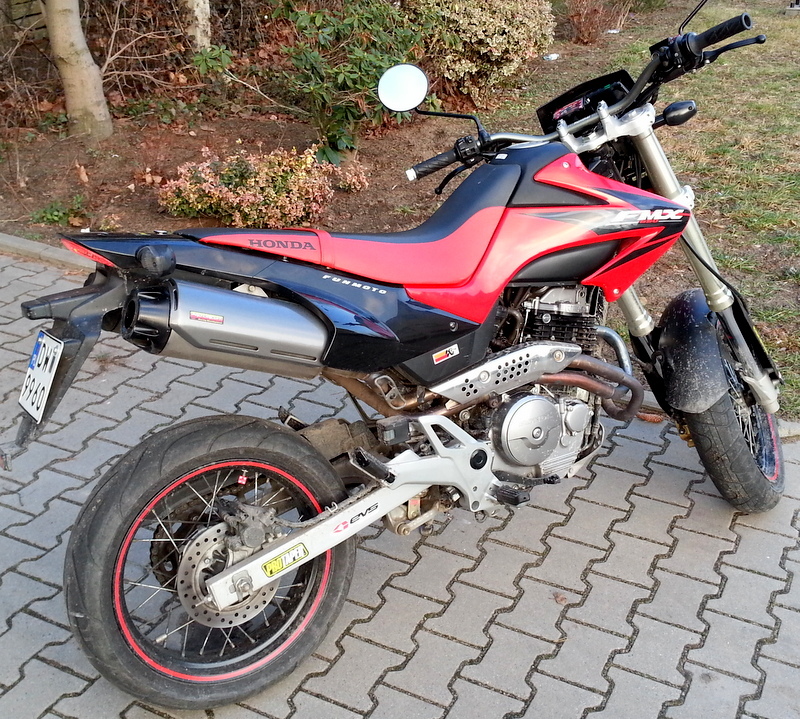 Make it more endure than supermoto, but I kind of like it. Congratulations again but I can’t believe you even tried a little trek off-road with those tires. Something has been missing from your posts and pictures – where is she……. Are you sure you need new wheels? You might be able to get by with a set of more agressive 17″ tires. When your current set wears out you should try a set of Avon Distanzia’s. 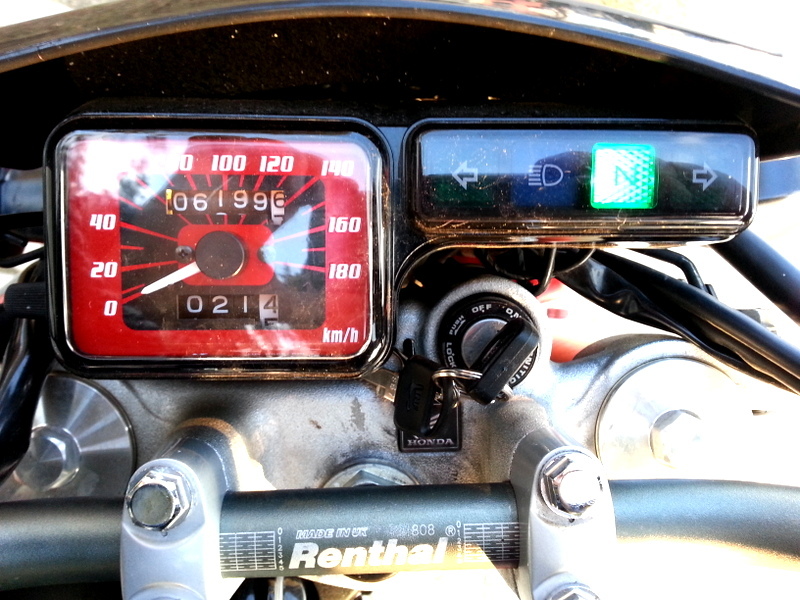 You might look into a Trail Tech Vapor speedometer too. I have one on my DRZ and it rocks.